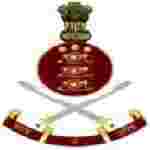 AOC recruitment 2018 notification has been released on official website www.aocrecruitment.gov.in for the recruitment of total 818 (eight hundred and eighteen) jobs out of which 110 (one hundred and ten) vacancies for Lower Division Clerk, 561 (five hundred and sixty one) for Tradesman Mate vacancies. Apply online before within 21 Days from the Date of Publication of Advertisement in Employment News. Here on this page you will get the details like the Name of vacancies released by AOC with exact number of posts. Some other criteria like Education details, application fee and way to apply application for AOC recruitment 2018. Educational Qualification: 12th pas or equivalent from recognized Board or University and English typing @ 35 wpm on computer or Hindi typing @ 30 wpm on computer (35 words per minute and 30 words per minute corresponding to 10500/9000 KDPH on an average of 5 key depressions for each word) for S.no-1. Matriculation from recognized Board or University for S.no – 2. Interested and eligible aspirants should apply online through the website www.aocrecruitment.gov.in on or before 21 Days from the Date of Publication of Advertisement in Employment News.